KL Rahul and R Ashwin top scored for KXIP, as Umesh Yadav starred for RCB with the ball. Kings XI Punjab visited Bengaluru to challenge the Royal Challengers Bangalore in their den. 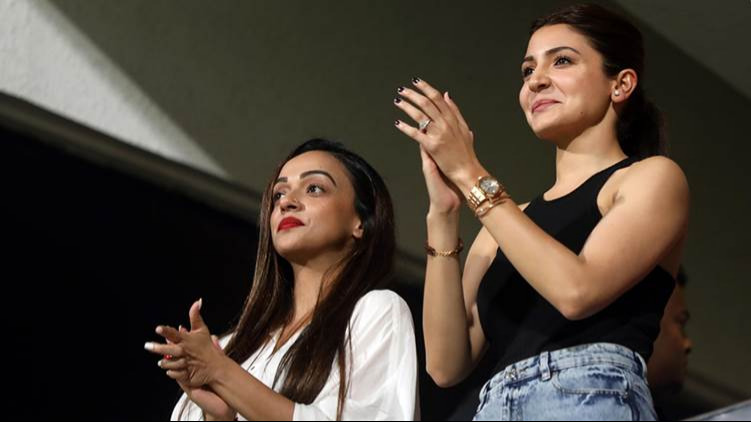 KXIP were coming off their mauling of DD, while RCB were reeling from a defeat by KKR. Virat Kohli won the toss and decided that RCB will chase. RCB played with an unchanged side, while KXIP brought in Aaron Finch for David Miller, as Chris Gayle continued to be ignored by KXIP team management. KL Rahul scored 47 off 30 balls with 2 fours and 4 sixes before Umesh Yadav rocked KXIP with three strikes in one over. He removed Mayank Agarwal (15), Aaron Finch (0) and Yuvraj Singh (4) in the same over to leave KXIP 36/3 in 4 overs. Sundar then picked up Rahul and Stoinis (11), while Khejroliya removed Akshar (2). At 122/7 in 15th over, things look dim for the visiting team. But, R Ashwin hit 33 in 21 balls to take KXIP to 155 all out. Umesh Yadav picked 3/23, Chris Woakes picked 2/36, while Sundar and Khejroliya also picked 2 wickets each. With 156 runs as the winning target, RCB were given an early shock by Akshar Patel, as he had McCullum caught for zero by Mujeeb. 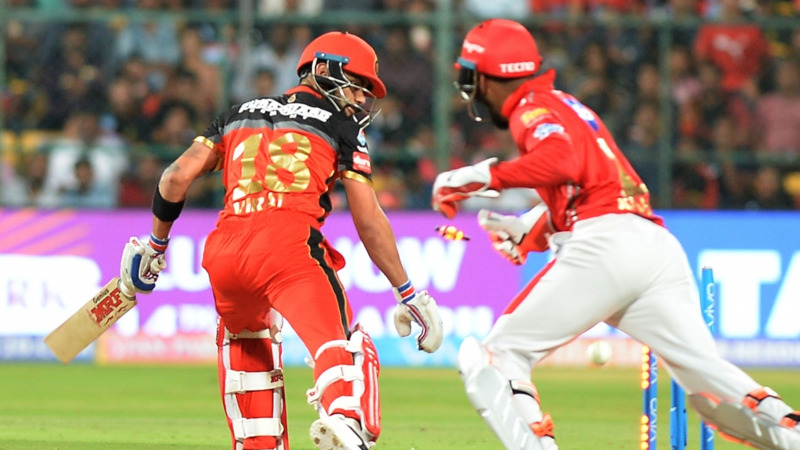 De Kock (45 off 34 balls; 7x4s, 1x6s) and Virat Kohli (21) tried to rebuild the innings, but Mujeeb bowled Kohli to the shock of RCB crowd. Ashwin then removed De Kock and Sarfraz Khan (0) to send RCB into deeper problems. 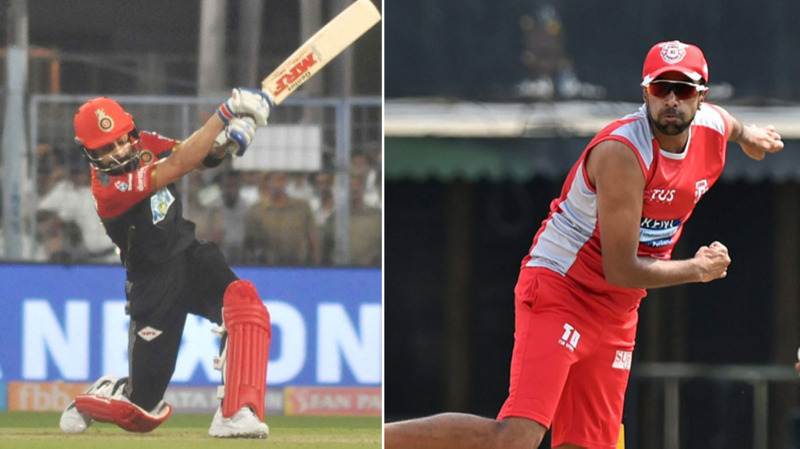 AB de Villiers and Mandeep Singh kept the RCB floating with some smart stroke play. It was De Villiers who took the attack to the KXIP bowlers, hitting Mujeeb for two sixes in the 17th over to turn the tide in RCB favor. Next over, he hit Mohit for a six to bring up his 50 off 36 balls. Before this match, RCB had lost all the 11 games in which AB de Villiers had played, but De Villiers (57 off 40 balls with 4 sixes and 2 fours) turned the stat single-handedly. In the end, Mandeep Singh (22) took it comfortably to 5 runs required off the last over before getting run out. Washington Sundar hit the first ball from Mohit Sharma off the last over for a four behind the wicket-keeper and then finished the match with another four. RCB won the match by 4 wickets. KXIP 155 (KL RAHUL 47, U YADAV 3/23) lost to RCB 159/6 (AB DE VILLIERS 57; R ASHWIN 2/30) by 4 wkts.